Spring is upon us once again, and that can mean only one thing, it is time to begin spring cleaning! While you are chasing the remnants of winter from (and revitalizing) your home, spare a thought for your car. As you know, each season takes its toll on your car and this is especially true of winter. The freezing temperatures and road salt can wreak havoc upon various parts of your car, the chassis is placed at greater risk of rusting, the A/C system is pushed to its limits, and the wheel alignment is easily changed from driving on snow and ice. We asked a number of experts about car repair and maintenance. They all agreed that it is important to inspect your vehicle following winter and that there are particular areas which require extra attention. Keep reading to find out more! When you book a full vehicle inspection at an auto repair facility, the auto technicians there will professionally inspect your vehicle, including the chassis, brakes, and engine. They should be able to easily identify any issues, or potential issues your vehicle may be facing after winter. Then you will be informed about what has been found, as well as provided with an estimate for any work needed, so that you won’t have to pay any unneeded repairs or services. Your vehicle’s wiper blades were no doubt put to good use this winter, and you may have noticed cracks forming caused by freezing temperatures. Wiper blades are often underappreciated and forgotten, but they are an essential safety feature of your vehicle. How can you drive safely if you can’t see the road clearly? Speak to a qualified auto repair mechanic about wiper blade replacements and installation today! 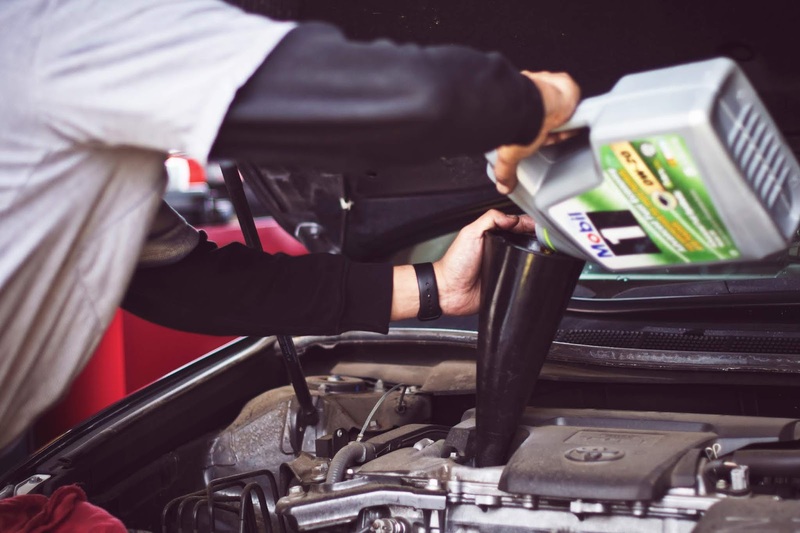 While your vehicle is undergoing a professional inspection, ask the technicians to check the state of the oil and whether it could benefit from an oil change or a simple top up. Have the fluid levels and condition in the power steering, brake, and coolant systems checked for any leaks or contaminants. These fluids are vital for keeping your vehicle running at its peak for as long as possible. Low and freezing temperatures also take their toll on your vehicles battery, the lower the temperature the more effort your battery has to put into starting the engine. Have the technicians check your battery and connections to make sure you aren’t unexpectedly left with a dead battery. Ensuring that your vehicle’s wheels are properly aligned and that tire pressure is at recommended levels is an integral part of staying safe on the road, as well as decreasing fuel costs by increasing efficiency. Your vehicle’s air filters are not essential to its smooth operation, however, they are essential to keeping you cool and comfortable as the temperature increases. As the weather improves the importance of your A/C system gradually makes itself known, few of us enjoy traveling any distance in a blisteringly hot car. Keep in mind that spring also brings a lot of pollen with it, so you may also want to consider replacing any aging cabin filters to help keep pollen and hay-fever at bay. So that’s what a brief spring car care checklist looks like. Did we miss anything or do you have any spring car care tips to share with us and our readers? Let us know, as we are always happy to hear from our customers, and schedule an appointment with a certified auto repair shop to keep your vehicle running at its best, regardless of the season!